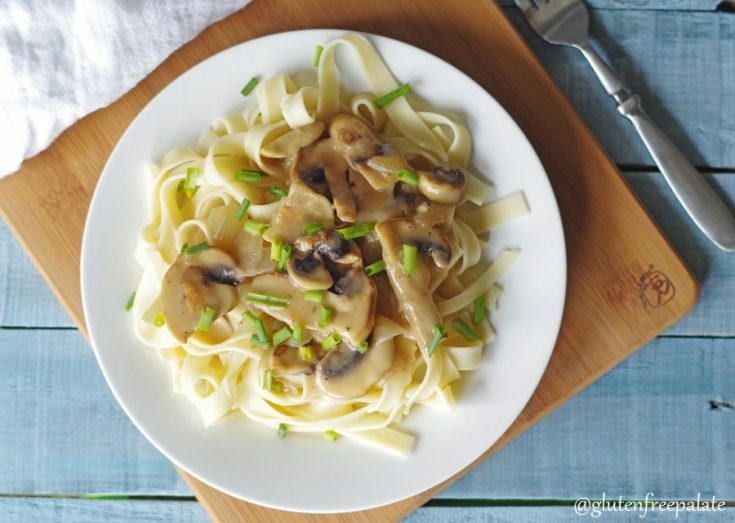 The smooth savory sauce, loaded with tender mushrooms, onions, and spices make this gluten-free vegan mushroom stroganoff a new favorite at dinner time. We started the So Delicious Dairy Free Challenge on January 23rd and are feeling better already. If you haven’t signed up yet, it’s not too late. The So Delicious Dairy Free Challenge comes with tons of resources including information on where dairy hides, other names for dairy (like whey, casein etc..), ideas for what foods to swap out when a recipe calls for dairy (like nutritional yeast). It also comes with tips from experts, giveaways, and awesome prizes. Even though I only ate about an ounce of cheese a day, I can really feel the difference from giving it up. In just a few short days I feel more awake and “regular” if you know what I mean. I’m having so much fun going through all my dairy-free recipes and menu planning. It’s not to challenging to give up dairy if you know where to look for recipes. 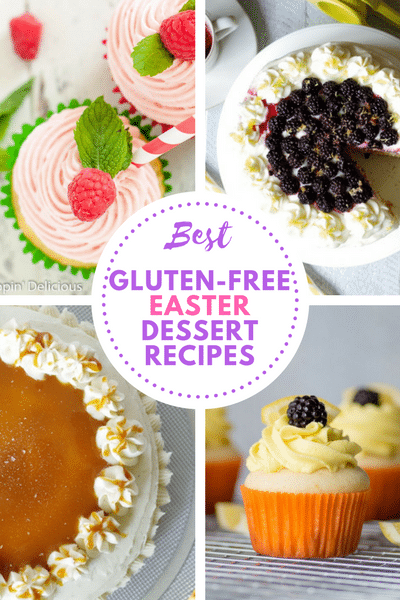 Also, there are so many amazing dairy-free alternatives (So Delicious being one of our favorites) that you won’t miss a thing. I plan on sharing more dairy-free recipes over the next three weeks. 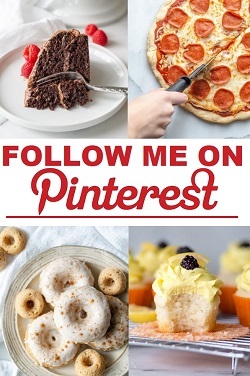 I already have a bunch of dairy-free recipes on my site if you want to get jump started looking for recipes you or your family might enjoy. Just this past weekend I shared a recipe for a decadent dessert – Gluten-Free Vegan Chocolate Ganache Cake. It’s super rich and the perfect cake for chocolate lovers and it would be the perfect dessert to enjoy after this Gluten-Free Vegan Mushroom Stroganoff. 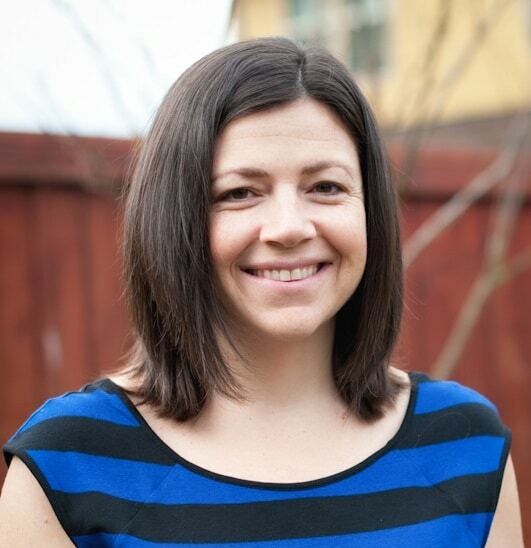 This post is sponsored by So Delicious Dairy Free in honor of the 21-Day Dairy-free Challenge and is part of the Dairy-Free Menu Plan event hosted by Go Dairy Free. There will be a full week menu plan provided on Go Dairy Free at the end of the challenge to help people continue with dairy-free living. Go Dairy Free has hundreds of recipes, all dairy-free, and is a great resource for anyone removing dairy from their diet, or simply looking for great dairy-free recipes. Cook noodles according to the package. 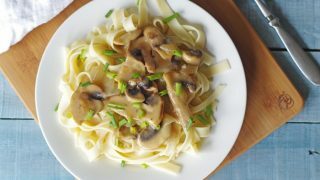 While the noodles are cooking, in a medium saucepan over medium heat, sautéed onions and mushrooms in olive oil until tender. Add cornstarch, salt, pepper, and cayenne pepper and stir until combined and it starts to brown. Stir in broth and bring to simmer, scraping up browned bits from bottom of skillet. Continue to cook until thick. Add coconut "yogurt" and stir until well combined and heated through. 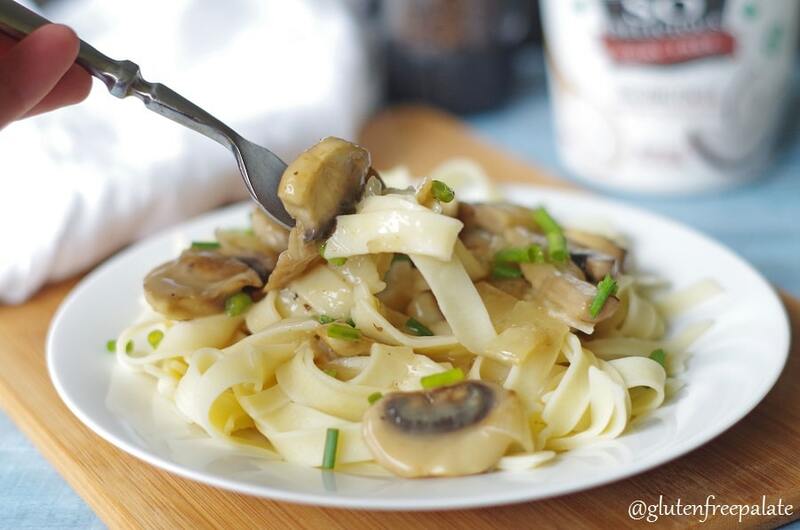 Spoon the mushroom sauce over a serving of noodles and garnish with chives. O what a yummy dinner idea! I’ve got some mushrooms in the fridge! I think I’m going to try this! What a stunning recipe and absolutely brilliant to use dairy-free yogurt in stroganoff Chrystal! I’ll have to try this. Thank you 🙂 I love using dairy-free yogurt in savory recipes. Really lends well to the flavors. Let me know what you think! Looks delicious! I haven’t made this in so long and it’s a snowy day and now I’m craving it. Only thing I’m missing is mushrooms. Thank you for revamping this classic recipe! Oh you are very welcome! We really enjoyed it. I thought going dairy free would be so hard, but it has actually been really easy! There are so many great alternatives on the market so you really don’t feel like you are missing out. I agree 🙂 I haven’t really found anything that I miss. This stroganoff would be great to have this weekend during this cold winter season! I love the dairy free recipes that you post, including your Chocolate Ganache Cake! My mom was always making stroganoff when I was kid, and it wasn’t my favorite thing…I’ll admit it, I’m a mushroom hater, but I’m thinking if I sub mushrooms for beef it would be perfect. The sauce looks amazing! This looks SO amazing! I’ve printed to make real soon, once I replenish my coconut yogurt supply:). I just may take up your suggestion and mix in another veggie too, delish! Thanks for sharing. Chrystal, I’ve got all the ingredients on hand … even my favorite pasta. I will try this. I especially like that it’s an alternative to the meat version of stroganoff. Thumbs up! 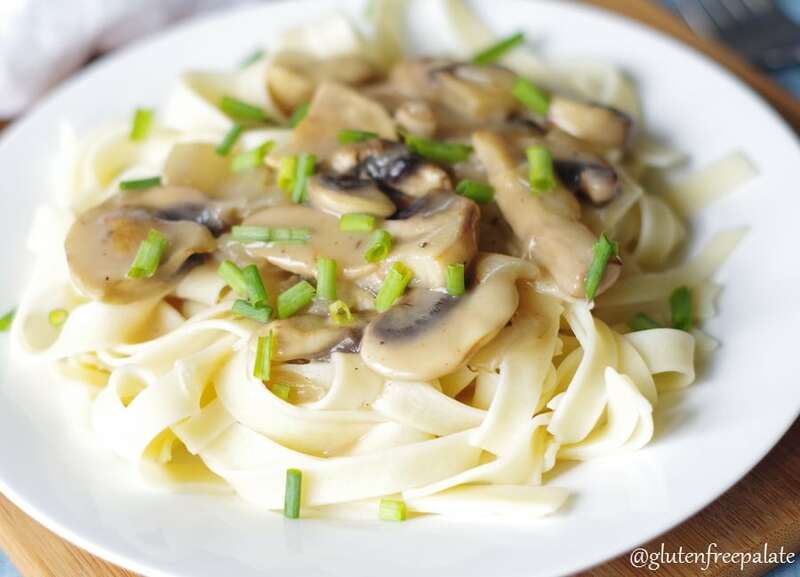 Since I was diagnosed with Celiacs I have not been able to have stroganoff because I couldn’t find the noodles! Where do you get them. I miss chicken noodle soup also because of the noodles. The noodles I sued in this recipe is found in the cold section. It’s fresh (called RPs Pasta). I also really like Ancient Harvest Pasta. I forgot yogurt at the store, what else can I use? I haven’t tried another ingredient with this recipe. Some people like using sour cream.